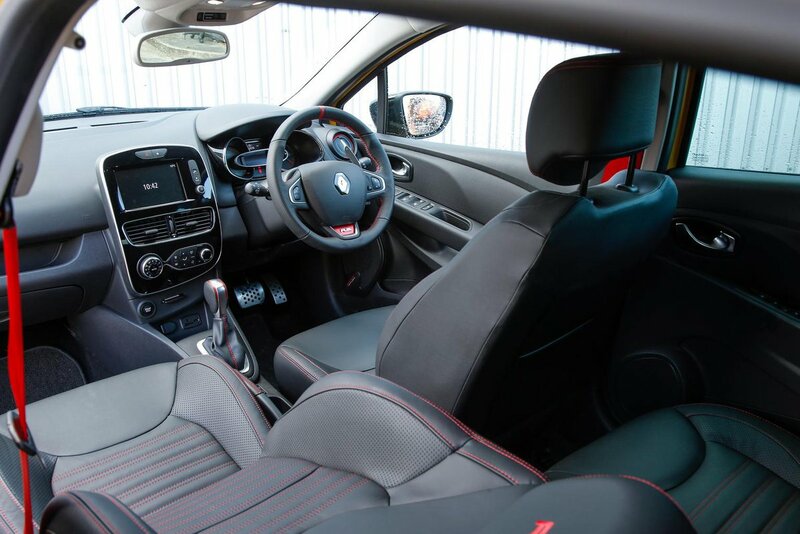 Renault Clio RS Boot Space, Size, Seats | What Car? 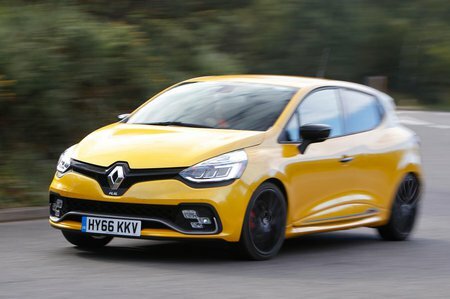 Like every good hot hatch, the RS is just as spacious and practical as any other Clio. That means it offers a reasonable amount of space in the front cabin for two adults, although the rakish roofline means that really tall occupants may grumble about head room. There shouldn’t be any problems for most people, though, and there’s decent shoulder room on offer. Two grown-ups can fit into the rear seats without too much bother, and they’re only likely to grumble about knee or leg room if you inflict a really long journey upon them. As with the front, head room could be the biggest issue. You don’t really expect radical flexibility in a small car’s seat arrangement, and sure enough, the RS offers nothing exceptional here. The rear seats fold down in a 60/40 split in case you need to increase the boot capacity, although they don’t go down completely flat. 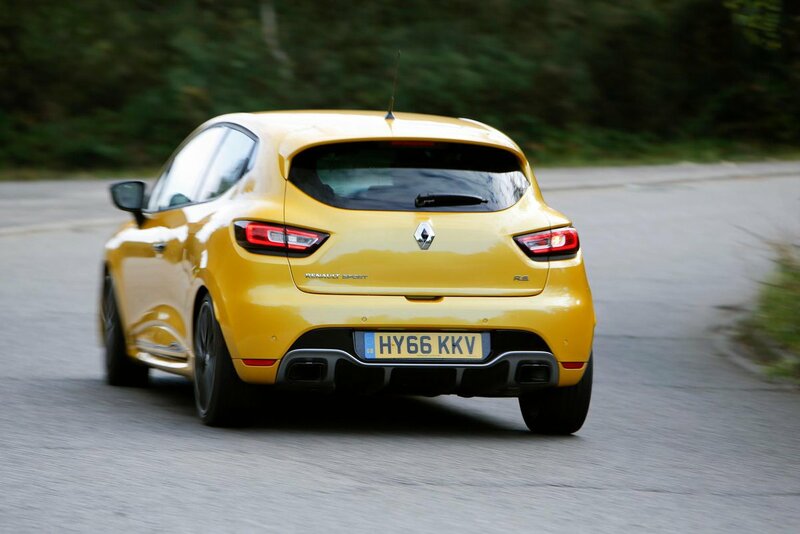 The RS’s boot is on a par with those of rivals, at 300 litres. In real-world terms, that means you can easily fit in a family’s weekly shop, although larger clobber, such as a toddler’s buggy or pram with chassis, may prove more of a challenge. The rear seats fold down to free up more space, although there’s a large step in the extended floor that could make it awkward to slide in larger, heavier items.